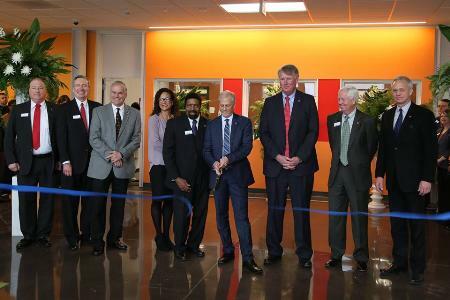 York Technical College in Rock Hill, SC celebrated a campaign milestone with a ribbon cutting for the newly renamed C-building, now called the Comporium Center, in partnership with Comporium Communications. With York Tech's newly-named building comes a new addition, which features four classrooms, a technology convergence lab, as well as a new entryway. The campaign continues, and CapDev is continuing its strategic campaign guidance with President, Greg Rutherford, and Vice President for College Advancement, Melanie Jones.